Home » roofing » How Can You Prevent Wind Damage? Wind damage is one of the biggest hazards your roof will have to face, and is often the reason why some of our clients seek roof replacement. Given a strong enough wind, the roof can be badly damaged pretty easily. There are ways that this can be prevented, however. This usually involves bracing the entire structure of your home and using appropriate materials that are rated for historical high winds in your region. Making sure you choose shingles and other roofing materials that are rated to withstand high winds is one of the best ways to prevent wind damage to your roof. If this if this is something you’re concerned about, then shingles made to stand up to strong winds are just what you need. There are some very specific details you’ll need to check into, however. First, you’ll need to find out how high the winds typically reach in your region. After all, you want your shingles to be able to hold out against what your local community has dealt with previously. You can do some research on the Internet, or call your local weather stations for more information. You can also ask local contractors, as they’ve surely done roof replacement in your area specifically for this reason. Once you have an idea of the strength of the high winds in your area, start looking for shingles that are rated for these winds. Usually, this is done via the UL 2390 system, but if you have a hard time finding what you need, call up your local contractor. They usually have access to a wider selection of products and may have the items you need in stock. The next thing you need to do is have the shingles properly installed. Without the proper installation, wind-rated shingles will be unable to function to the best of their capabilities. Find a contractor who’s capable of conducting this roof replacement for you, so you won’t have to worry about it in the future. Metal roofs are durable, but they need to be screwed down in order for the shingles to be able to deal with high winds. Even though metal is generally very durable, it does tend to be very buoyant in high winds. This is especially true for metal sheets, since there’s a much bigger surface area to consider. Shingles should be connected to the roof using nails that pierce through the roof sheathing. Ask your contractor about how to do this properly, especially if you’re worried about rust or water leaking in through the nail holes and damaging the underlayment. Asphalt shingles should be installed with quick-setting asphalt roof cement. Use this underneath each shingle, especially on shingles at the eaves, since these will be feeling the full brunt of the wind and will probably be at the most risk of getting blown away. 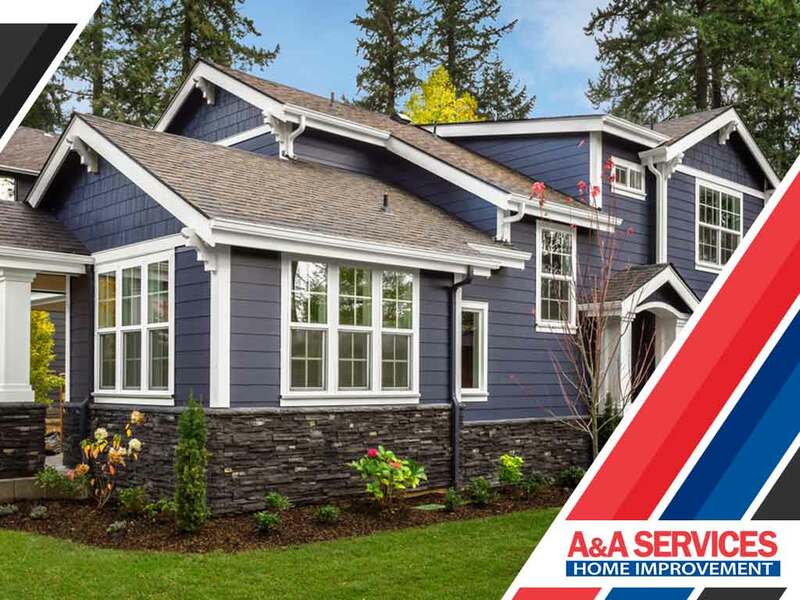 If you’re looking for a trusted contractor to do this for you, get in touch with A&A Services Home Improvement. We have the materials you need to deal with high winds and the expertise required to properly install them. Give us a call today at (978) 219-2343, or fill out our contact form. We serve residents of Salem, Peabody, and Andover.